Up to her ears in college debt and in a dead-end job she loathes, Mae Holland swallows her pride and asks her best friend from college, Annie, to help get her a job in The Circle, an giant internet company that specialises in providing authentication and transparency in online transactions. The company has a reputation as a great employer, with wonderful facilities, endless parties, free food and accommodation, excellent health packages, and opportunities to pursue the development of novel ideas aimed at making society safer and people more accountable. Mae’s initial job is in customer experience, dealing with online queries, but she is soon simultaneously fielding hundreds of survey questions. Her friendship with Annie, one of the executives, provides her with access denied to most newbies and she is soon encountering some of The Circle's top execs and scientists. It’s an exciting time in the company given its continuing meteoric rise and an endless procession of new product launches. Mae feels incredibly privileged to be a part of what seems as much a social movement as a company, but nonetheless is unsettled by the disjuncture between her old and new life and the increasing pressure to live her life in ways visible to the company and the rest of the world. 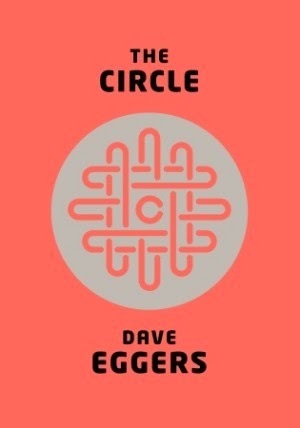 The Circle is an allegorical tale about the perils of creating a large, seemingly for the public good, data aggregator company that controls access to vital social, economic and governmental goods and services. The Circle is a large internet company that has quickly grown to become a massive, global critical player through it TruYou authentication system that provides a unified identification system for online transactions and interactions (whether that be using social media, playing games, conducting banking, or accessing government services). It’s effect has been to be to just about eliminate anonymous internet activity, hugely reducing anti-social behaviour and criminality. It’s ambition is to create open, transparent and accountable society and governance through the elimination of privacy on and offline (for example, by distributing hundreds of thousands of networked miniature cameras throughout landscapes and implanting tracker devices in kids). The sunlight of constant exposure will prevent crime and corruption, they prophetize. The tale follows Mae Holland, a young college graduate and her introduction to the company, her indoctrination into its ethos, and her rise through its ranks as she resolves personal reservations and conflicts. The power of the tale is in exposing the cult and power of information and how it is increasingly being exposed, collated and centralized in the internet age. Eggers does a good job at shining a critical light onto the California ideology underpinning many such companies. The main issue with the tale is that Mae is a little too one-dimensional and compliant and there’s too little examination of resistance to The Circle’s ambitions or alternatives, both within and outside the company. And while the story does raise questions about what an open society created through private vendors means for privacy, democracy and governance, it’s treatment of such issues is rather shallow. Overall, a thought-provoking read about the supposed utopian promise that information will set us free.